The Coolpix 7800 is this years update the firm’s high-end compact stills camera featuring a relatively small 1/1.7-inch BSI-CMOS sensor and stabilized 28-200mm f/2.0-4.0 equivalent collapsible zoom. It replaces the flagship Coolpix 7700 and remains similar in specification bar for the inclusion of a 921K dot resolution electronic viewfinder. That model was the first to drop the cramped optical viewfinder of its forerunners, and include a fully articulated 3-inch rear LCD. The new model sees a return of the finder, albeit an electronic one with a 100-percent coverage but drops the rear control dial of the P7700. The rest of the body and the control layout remain unchanged including the pop-up flash, located immediately in front of the EVF. With nearly all the key specifications remaining untouched, including the processor, video capabilities and expansion accessories, including the WU-1a Wireless Adapter, the $549 P7800 looks like a promising option for candid and documentary style photography. 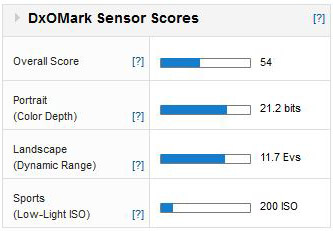 With a DxOMark Sensor score of 54 points, the image quality of the P7800 is very similar to the P7700, which achieved an overall score of 53 points.The sensor has both high color depth and an impressive dynamic range of 11.7Evs for a small sensor. However, the Low Light score is on the low side for a camera that’s meant to appeal to ‘serious’ users. And, in real world terms there has been no improvement in image quality over last year’s model. 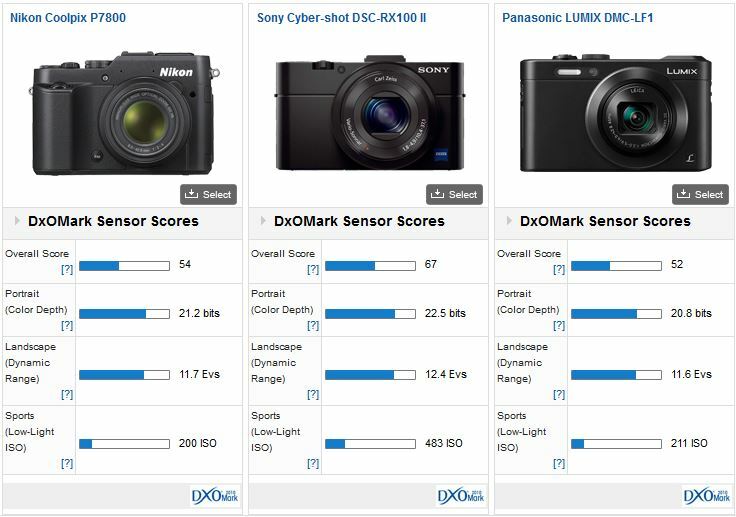 Compared to its direct rival offering from Panasonic the Nikon can easily compete on image quality. In fact the Nikon has an extra +1/3 stop in Color Depth, albeit practically identical Dynamic Range and Low-Light capability. But, when pitched against the mighty Sony RX100 II, it’s a different story. 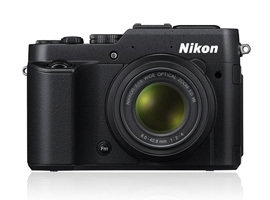 Part of this is to do with its physically larger 1-inch type sensor, the same format as Nikon’s 1 Series cameras. The Nikon clearly struggles to compete. It has -1 stop less Color Depth, -2/3rds of a stop less in Dynamic Range and well over -1 stop less sensitivity in Low Light, and is more noticeable in ‘real-world’ use than the figures suggest. Bear in mind the Sony (which has a 28-100mm f/1.8-4.9 Zeiss-branded zoom) is $750, around $200 more than the Nikon. The adoption of a EVF makes a lot of sense. One of the main issues of small sensor compacts like this was the usefulness of the optical viewfinder. Regardless of the make or model, the viewfinder was small and coverage was restricted to around 70-percent of the field of view. The new P7800 address that and has very good image performance for this type of sensor. But, it can’t compete the Sony RX100 II with its 1-inch type sensor for image quality. The downside for the Sony is that a larger sensor requires larger lenses, and the zoom range is limited as a result. Be that as it may, the P7800 is a step up from the P7700 and a compelling option for anyone that requires those specific capabilities.